Concerns would depend on the circumstances. People would usually be concerned about paying the medical bills if they needed any medical care. They would be concerned about whether or not the auto insurance would cover a bicycle accident. They would be concerned if the auto insurance was only for the car rather than for car accidents. Another area people do not know about involves someone owning his own auto insurance coverage in terms of uninsured motorist or medical payments coverage. In this case, that would also protect the person and any children if they were on a bicycle and got hit by an uninsured motorist. This would protect if they incurred medical bills, as well, because the medical coverage on the person’s own personal auto policy may kick in and help out with that. What Are Some Things People Unintentionally Or Intentionally Do That Hurts Their Case? People may unintentionally delay their medical care by waiting. I often get phone calls from people who had an accident 3 or 4 months ago and felt okay at the time. They were served for a few days, perhaps, but then ended up going back to work, thinking they’d be fine. They kept having a residual pain in their shoulder. They’d been living with it, but when they got an MRI, it showed that the person ad a torn rotator cuff, which was discovered 3 or 4 months after the accident. I believe clients when they tell me this, and I believe the cause of the injury. However, it can get a little bit more difficult to prove this when there was no contemporaneous medical care. The insurance company always makes the argument of how they could be sure the person didn’t hurt himself doing something else during that gap in treatment. The insurance company would only need to float that idea around to get a jury to consider that the person may have slipped in the bathtub or had a sporting accident. After all, it really would not make sense for somebody who was struck by a car not to get any medical care for months before showing up with a significant injury down the road. Could Social Media Like Facebook Become An Issue If Someone Is Posting Pictures? Posting pictures on social media is always an issue in any type of case. It might be more of an issue in a bicycle-related event if it dealt with younger people, teenagers, or young adults who are more active in social media. We always discourage any comments, postings, anything related to their accident, or anything related to their physical abilities. 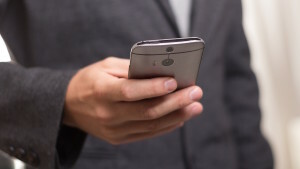 It is very embarrassing for a client or even the attorney who is handling a case when the defense attorney collects photos from social media of the client waterskiing, jet skiing or weightlifting at the gym when the client had said he was off work and unable to do anything due to the disabilities of the injury. Who Can Go Into Someone’s Social Media Account And Find These Pictures Or Posts? This is a lot more prevalent. Prior to the advent of the internet and social media, the insurance company would conduct surveillance on the person. They would hire an investigator to park a van with tinted windows in front of the person’s house to videotape them doing something that they should not be able to do. They would follow the person around all day and wait for them to unload a heavy object out of the trunk of their car, for example. Nowadays, the actual insurance adjusters can access a computer and research the person online without having to incur any expense. Now, more and more actual insurance adjusters are doing this and digging up things about the clients, either through prior posts or posts made during the pendency of the claim. The insurance company will even set up dummy accounts and befriend people to get access to their posts, even if it is set to private. Insurance companies want to save money. It costs money to hire an investigator to do surveillance on somebody. Compare this to an insurance adjuster or a clerk making $10 an hour, sitting in front of a computer, researching multiple people in a short period of time. Do The Independent Professional Surveillance People Watch People Like They Did In The Past? Yes. This typically involves outside vendors in an actual surveillance situation. This is becoming quite rare, unless this involved major catastrophic injuries. It’s rare because it comes down to an issue of dollars and cents. The insurance companies would absolutely spend $10,000 on an investigator to follow someone around for a million dollar case, but they would not spend $5,000 to follow someone around for a $15,000 claim. However, they would spend 15 minutes online to Google the person’s Facebook page and scroll through photos. 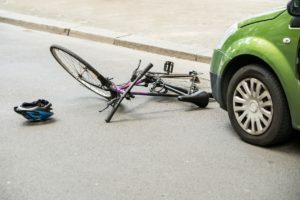 For more information on What Can Help Your Bicycle Injury Case, a free initial consultation is your next best step. Get the information and legal answers you’re seeking.